We, the human race, are afflicted with a compelling desire to understand all that surrounds us -- fundamentally, we want the world to make sense. 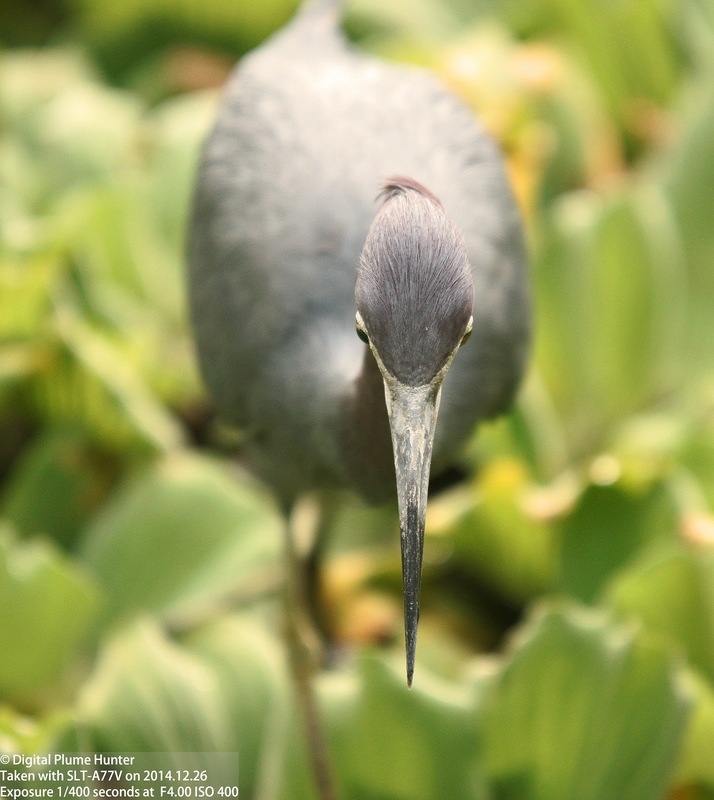 We find order in the rhythms of nature and discover structure in the wonders of creation. 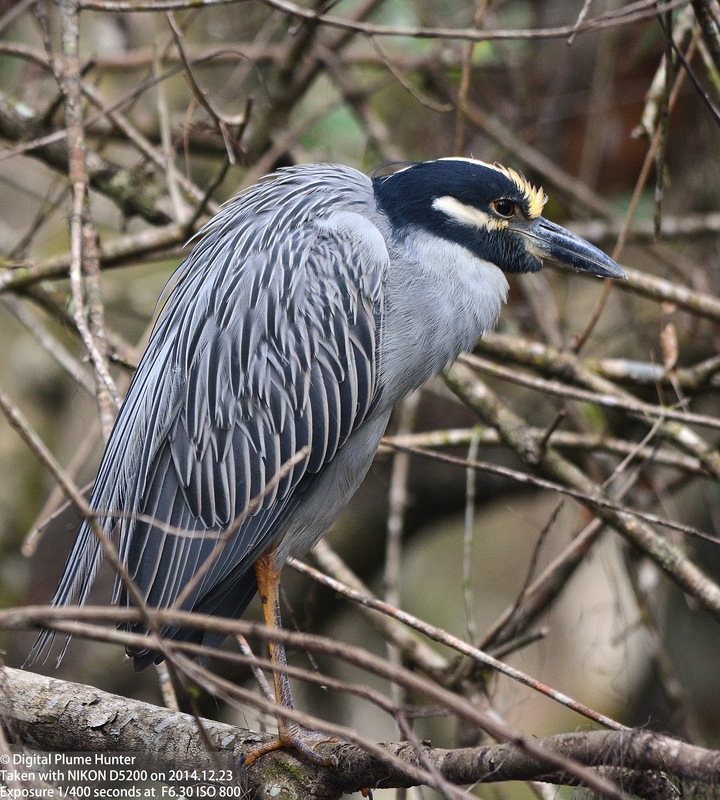 Indeed, in the study of life on this planet, it gives us considerable satisfaction in classifying, sorting, and situating our fellow creatures into a tree of relationships based on shared characteristics and common attributes. But, this resulting taxonomy is not a static construct -- it evolves as new insights unfold. 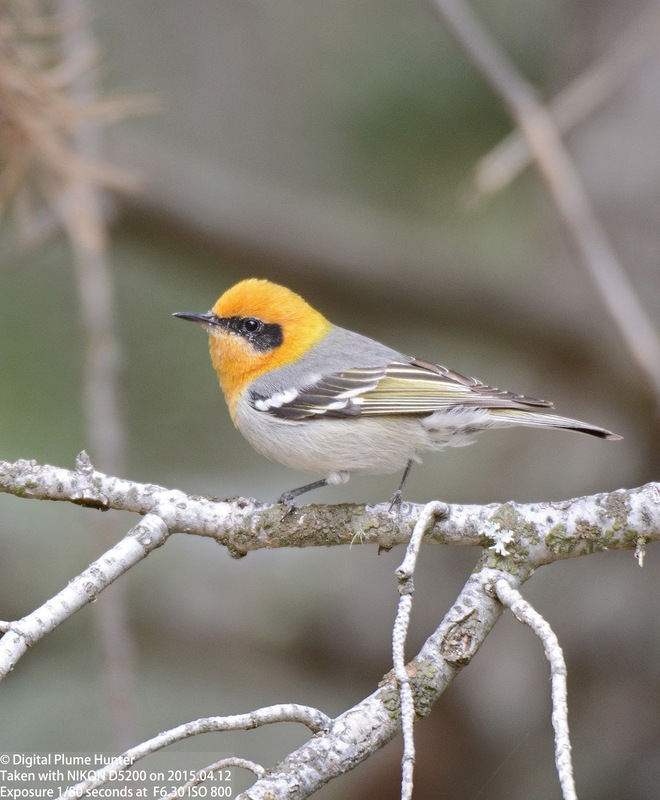 As an example, consider the Olive Warbler -- at various times in its taxonomic life, it has suffered classification as a New World Warbler (Parulidae), Old World Warbler (Sylviidae), or Finch (Fringillidae). 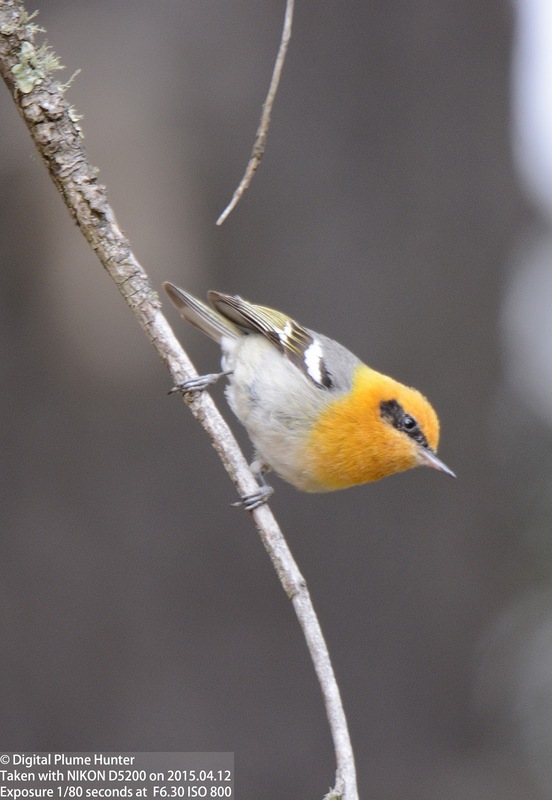 Neither placement was entirely satisfactory and it is now conveniently accommodated in its own taxonomic home: as the one species of a single genus in its own built-for-purpose family (Peucedramidae). 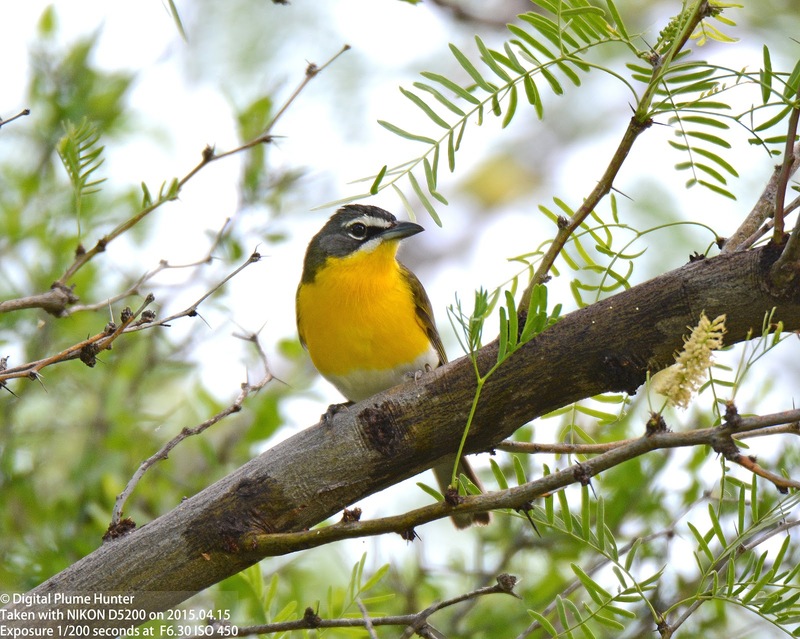 However, such a bespoke taxonomic solution eludes another enigma -- the Yellow-breasted Chat. 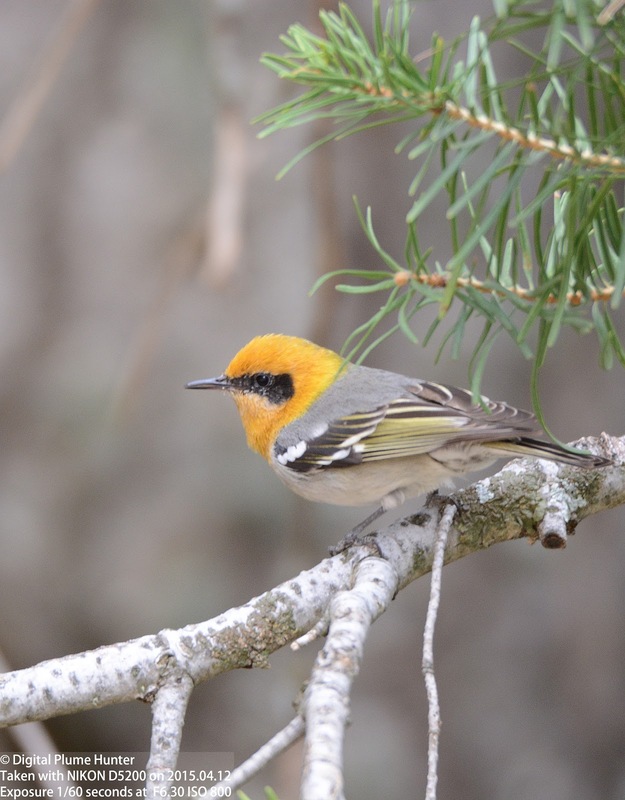 While humored as a Wood Warbler, it is clearly not; and, because its exact placement is a "TBD" (to-be-determined), its family is listed simply as incertae sedis ("uncertain placement"). 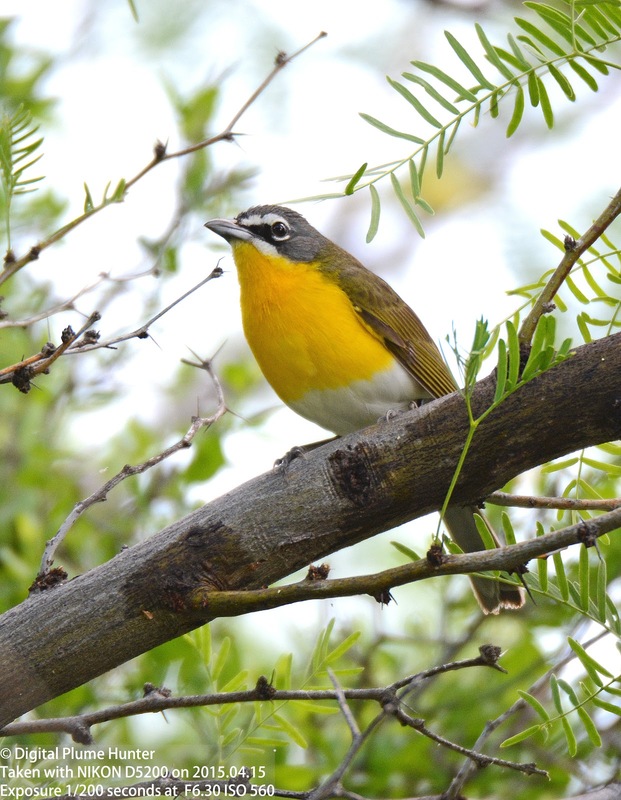 Yet while accepting that both Olive Warbler and Yellow-breasted Chat may be plagued by taxonomic uncertainty, what is certain is that they are uniquely delightful species that attract keen interest from the birding community at large; and, thus, are surely deserving of coverage on this blog -- a feat made possible by a recent excursion to Southeast Arizona and Big Bend National Park (TX). 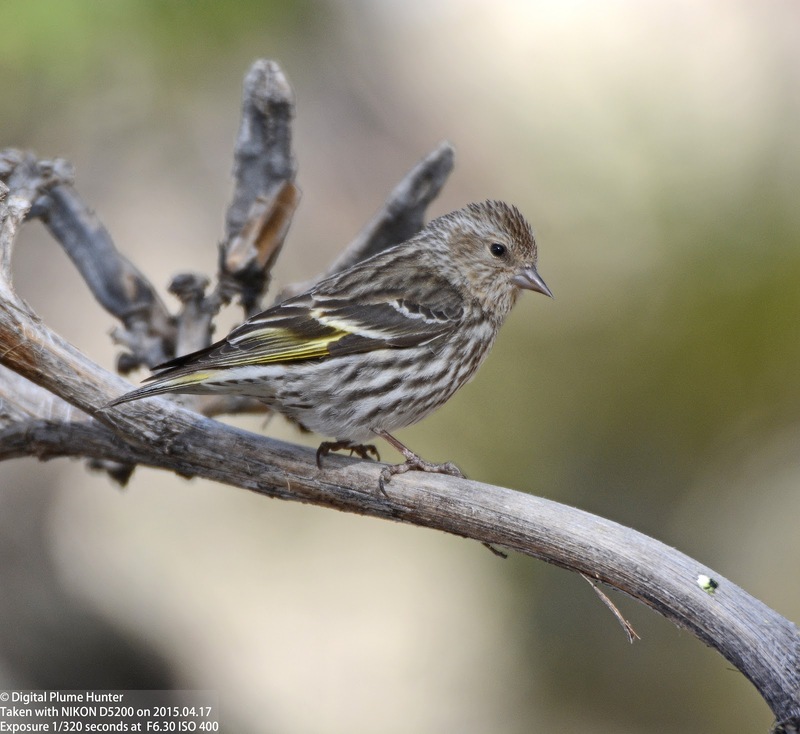 Assessed at "Least Concern", the Olive Warbler is found uncommonly in the US mainly in Southern Arizona (and also in a tiny bit of SW New Mexico), however, its global range is much larger -- stretching all the way South to Nicaragua. 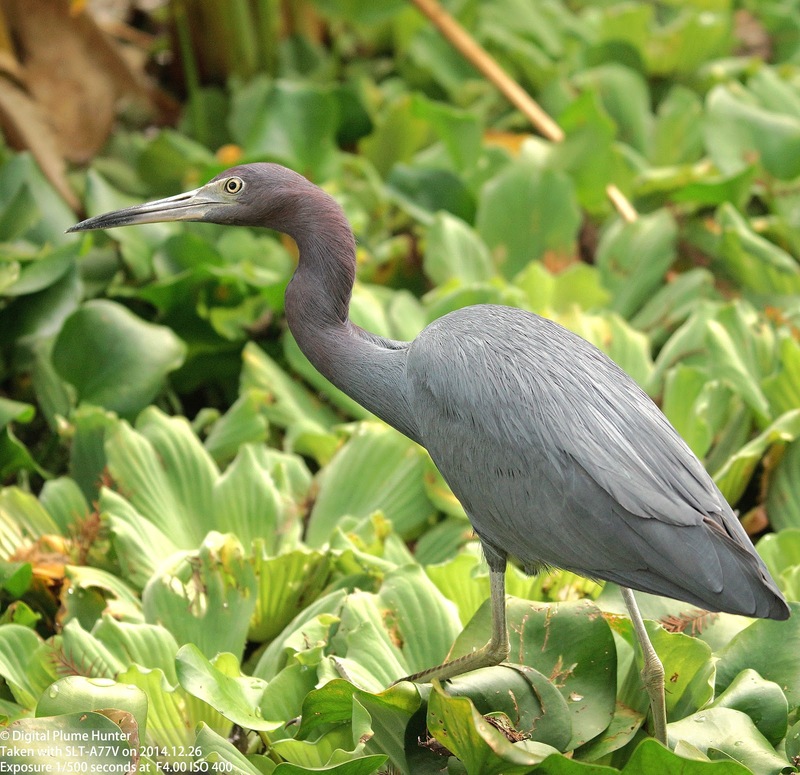 Identification is straightforward -- a turmeric colored head, black mask, grey back, with white belly and two wing-bars. 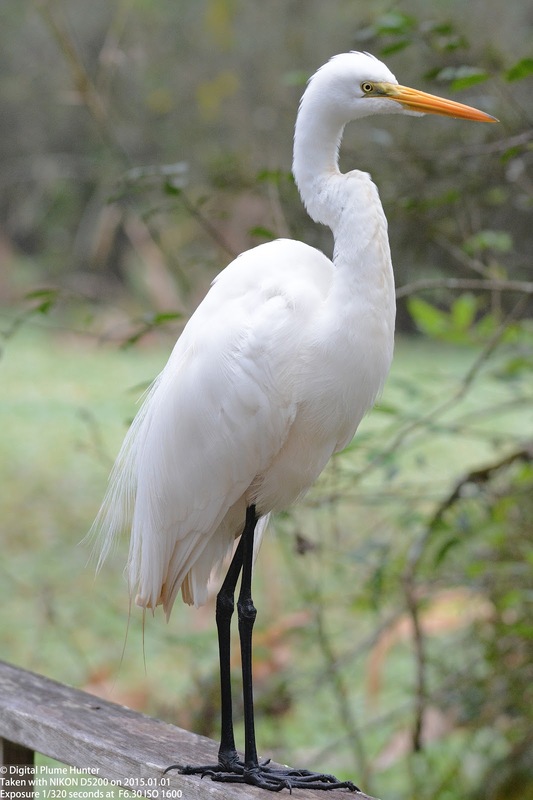 The female and juvenile is paler in coloration. 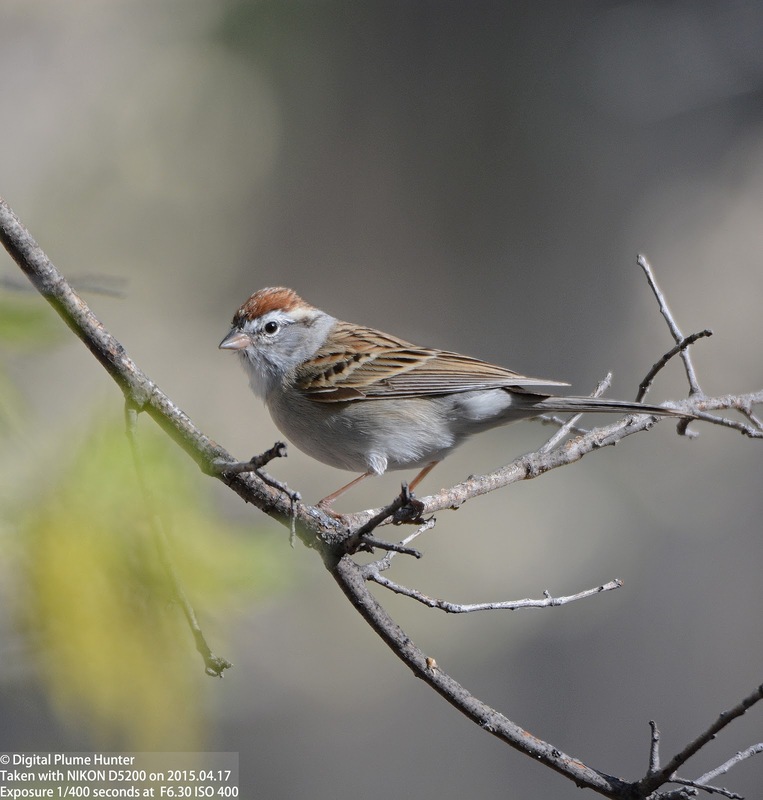 Found in montane habitat in coniferous forest, this distinctive, insectivorous songbird can often be heard before it is seen thanks to its loud "wheechy wheechy" song. 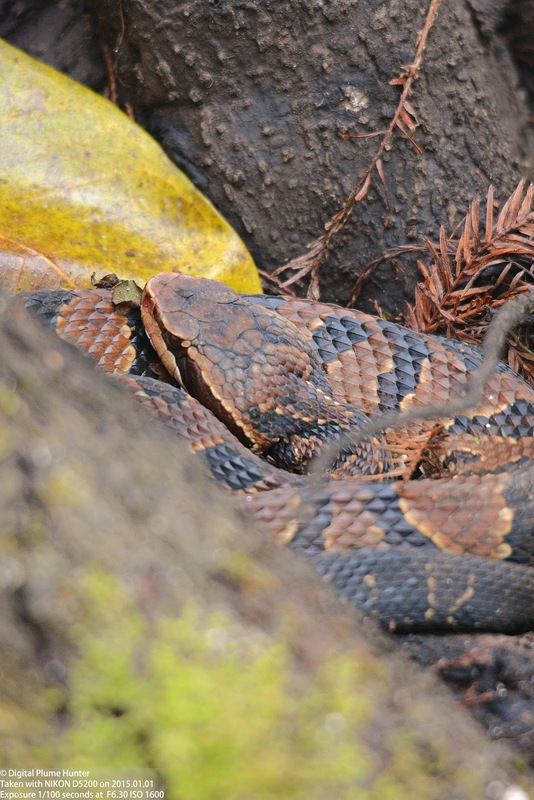 This particular individual was observed at Bear Wallow, Mt. 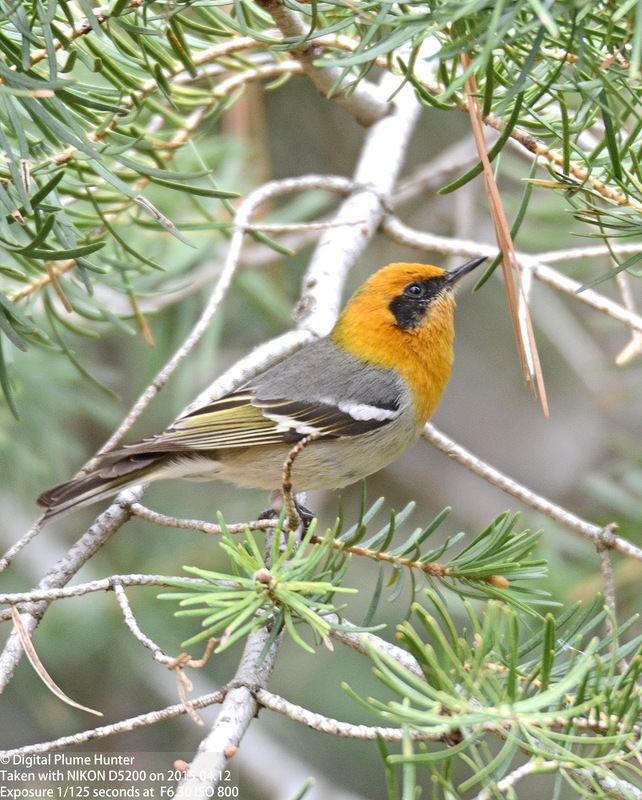 Lemmon, in a mixed flock of foraging passerines. 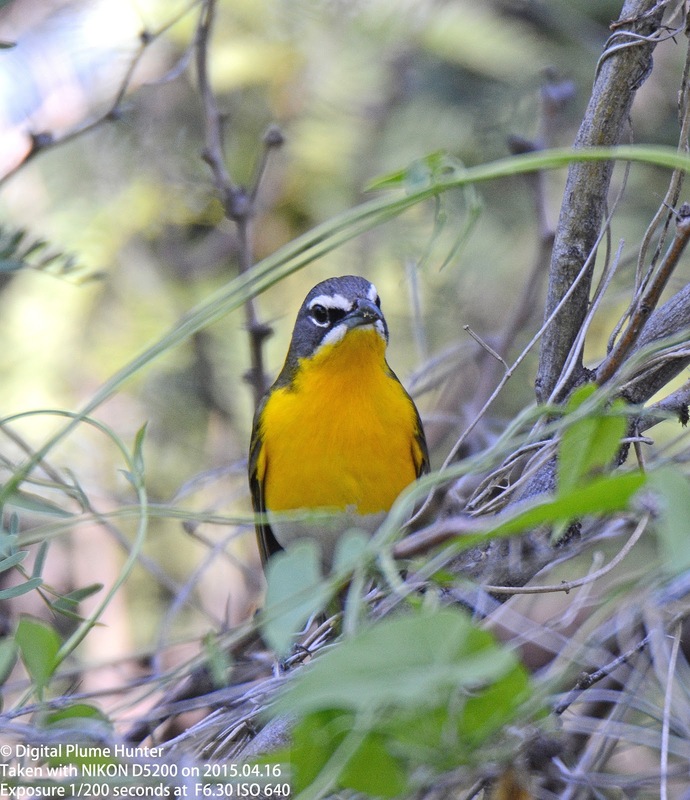 The Yellow-breasted Chat neither looks nor sounds like a warbler; it has a prominent, stout bill and at 7+" it is considerably larger than your typical warbler. 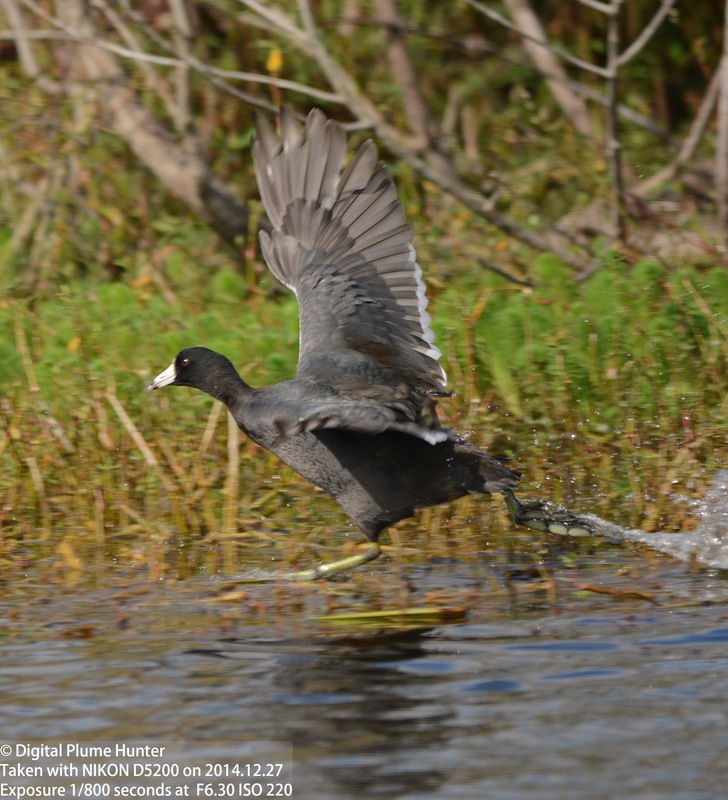 In song, it doesn't warble -- making instead an assortment of harsh croaks and whistles. The chat ranges widely coast-to-coast across the US and down to Central America. For such a huge distribution, it is a surprise that the Chat is rarely seen -- but this is owing to the chat's secretive and skulking habits. 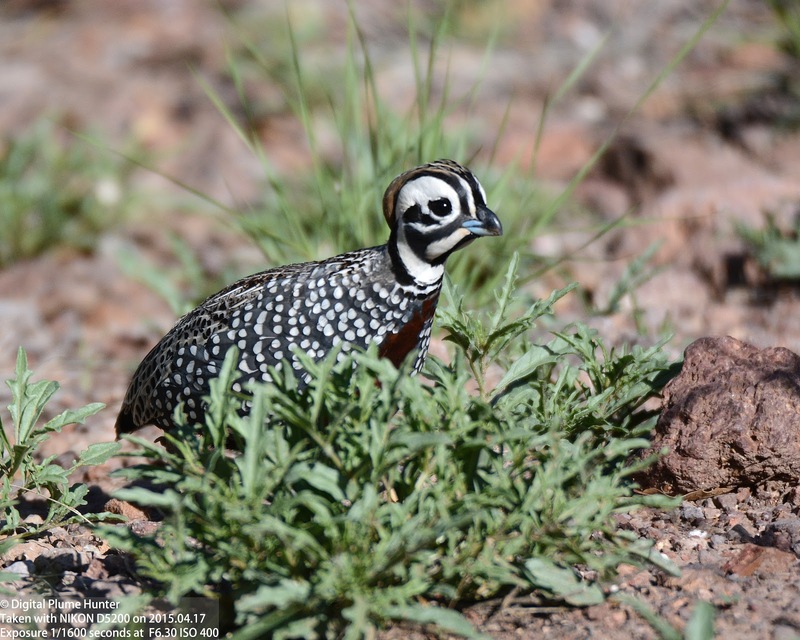 This distinctive songbird was sighted at Daniels Ranch, Big Bend National Park (TX) which, in this blogger's experience, offers some of the best viewing opportunities for this enigmatic species. 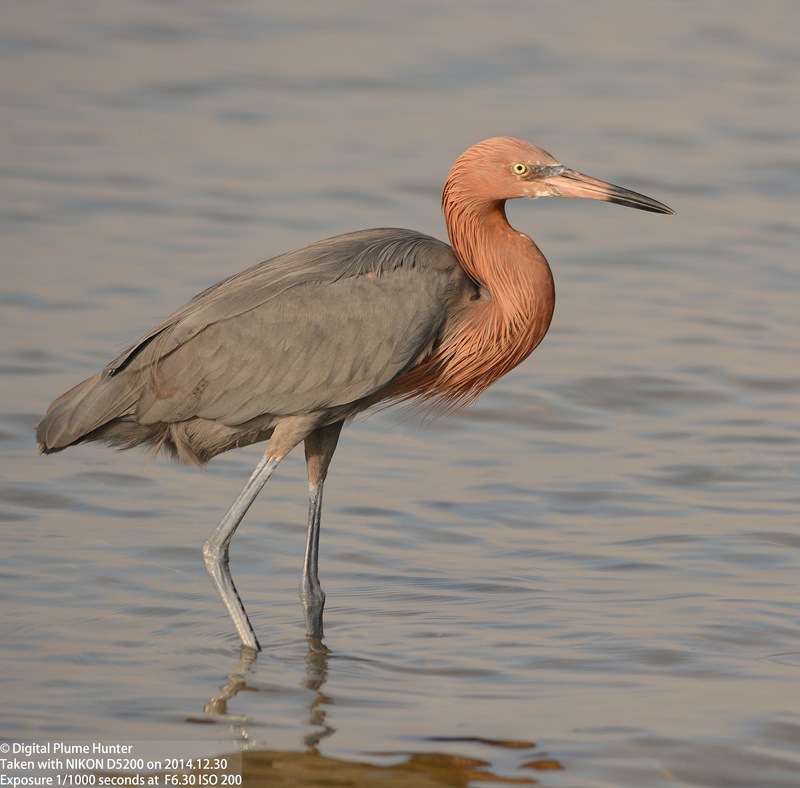 At the intersection of Birding and Ornithology is the fundamental issue of the classification of species; however, this is a consideration that fades into the background when confronted by the striking personalities of these two iconic species of glorious incertitudes. Hummingbirds are delightfully enigmatic birds and their adaptive specializations demand a never-ending stream of superlatives in our attempts to describe them: the tiniest, the most brilliantly iridescent, the most versatile in flight, the lightest, the most metabolically intense, and more... the list goes on. Costa's Hummingbird seen at Molino Vista, Mt. Lemmon, AZ. 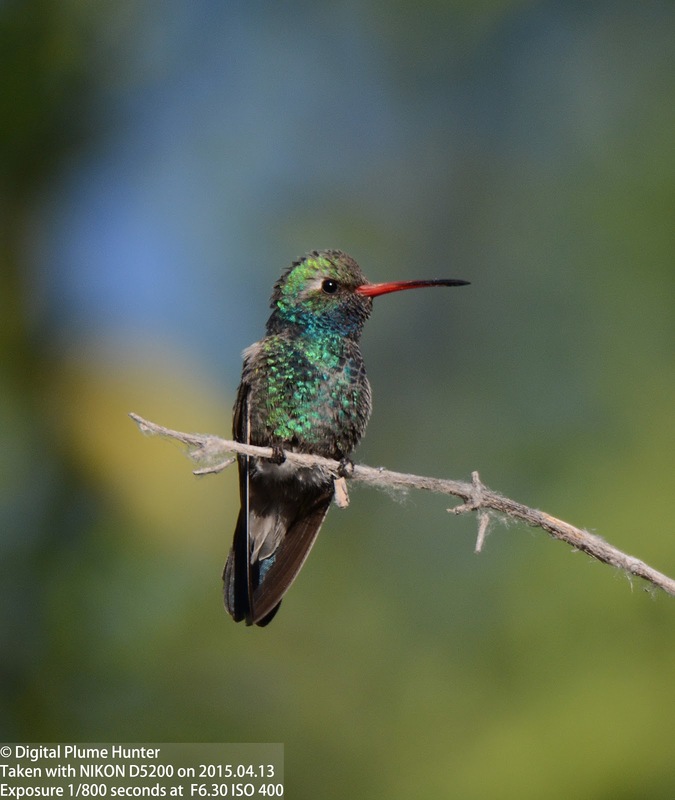 Little wonder, then, that hummingbirds are a source of endless fascination for us today and we can only imagine, two centuries ago, as they were being discovered scientifically, the novelty these unparalleled birds must have presented to naturalists from the Old World. One such hummingbird aficionado was Louis Costa, Marquis de Beauregard, a French nobleman who in the early 1800's amassed an unmatched collection of hummingbirds. 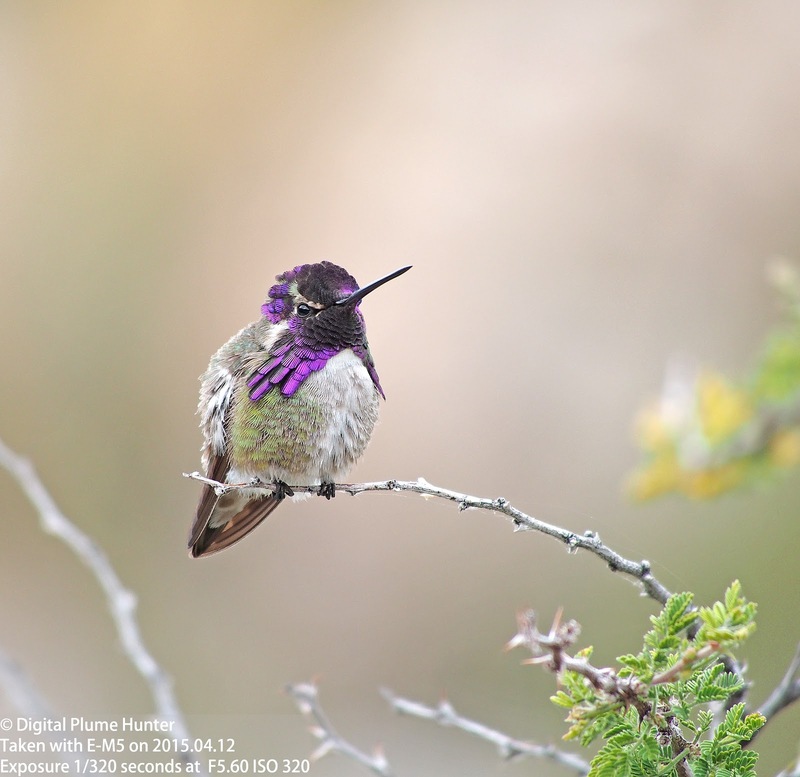 Thus, when in 1839 the naturalist Jules Bourcier first encountered the type specimen for a 3-inch hummer with a brilliant violet crown and gorget, he had no hesitation in naming it, Calypte costae, or, Costa's Hummingbird. At the time, the Marquis was only 33 years old and must have felt exceedingly honored to have his name lent to this violet marvel. 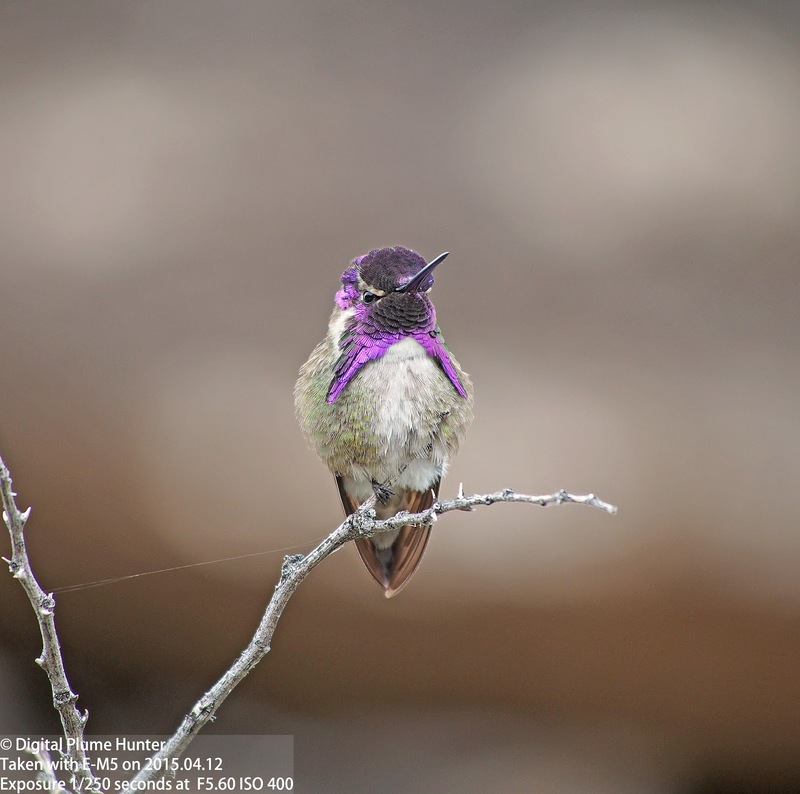 Costa's Hummingbird is found in the US only in appropriate habitat -- in a small area covering the Sonoran and Mojave deserts in Arizona and California. 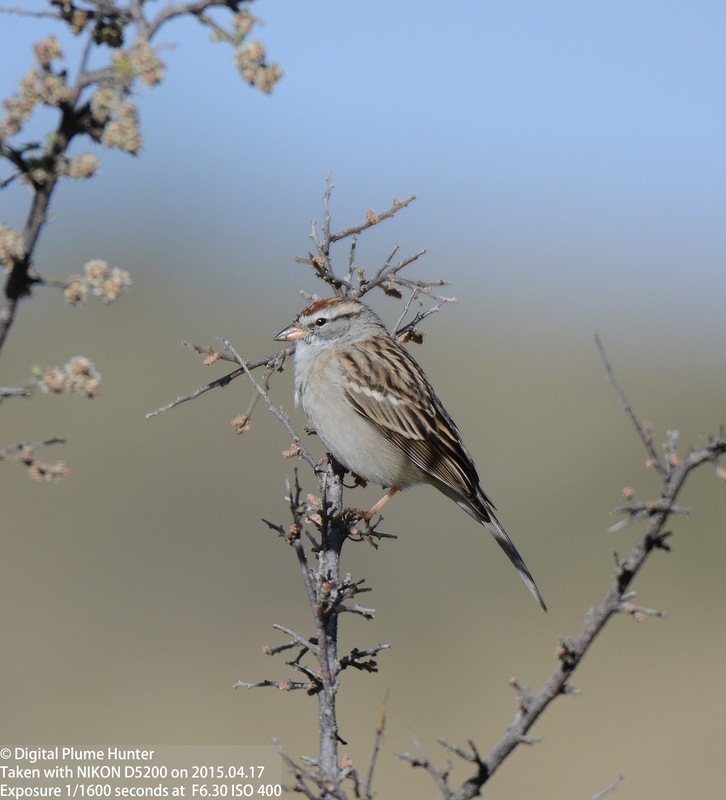 The individual pictured in this blog was observed at Molino Vista, Mt. Lemmon, AZ. Broad-billed Hummingbird seen at Tanque Verde Wash, Tucson, AZ. 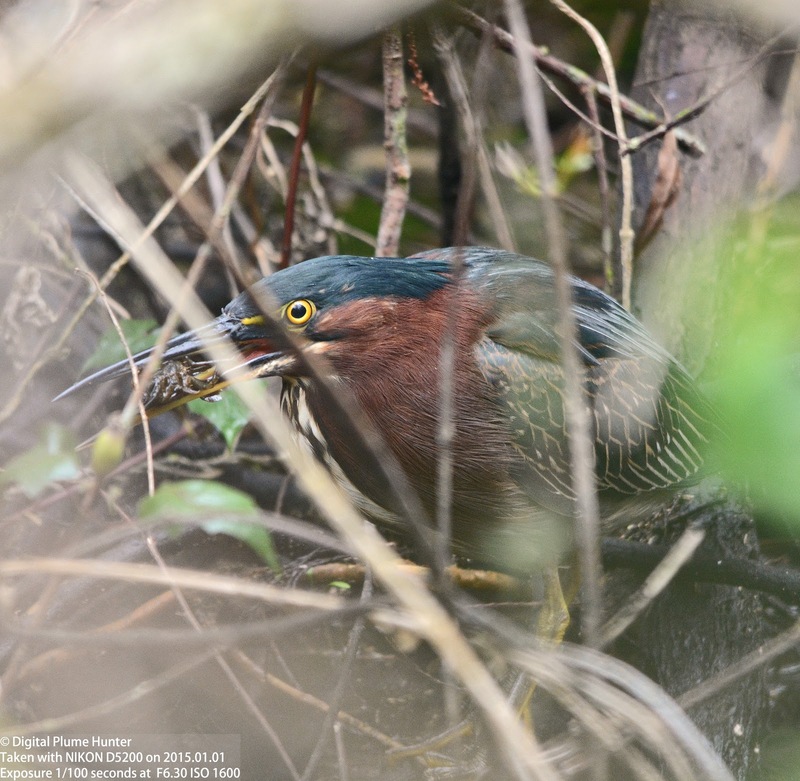 The male is a metallic green with a deep blue throat; the bill is red and tipped in black. 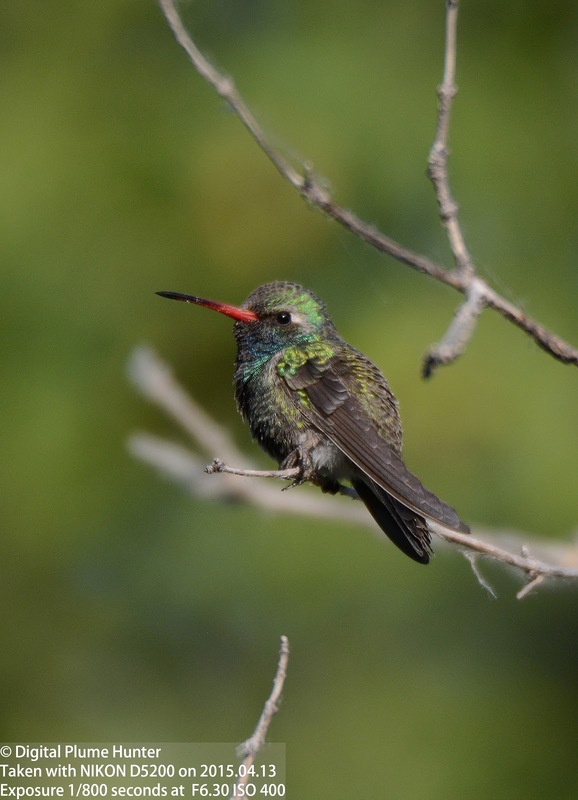 It is probably one of the most commonly seen hummingbird species observed in Southeast Arizona. The similar sounding Broad-tailed Hummingbird is the odd one out here -- it prefers sub-alpine meadows over desert habitat. 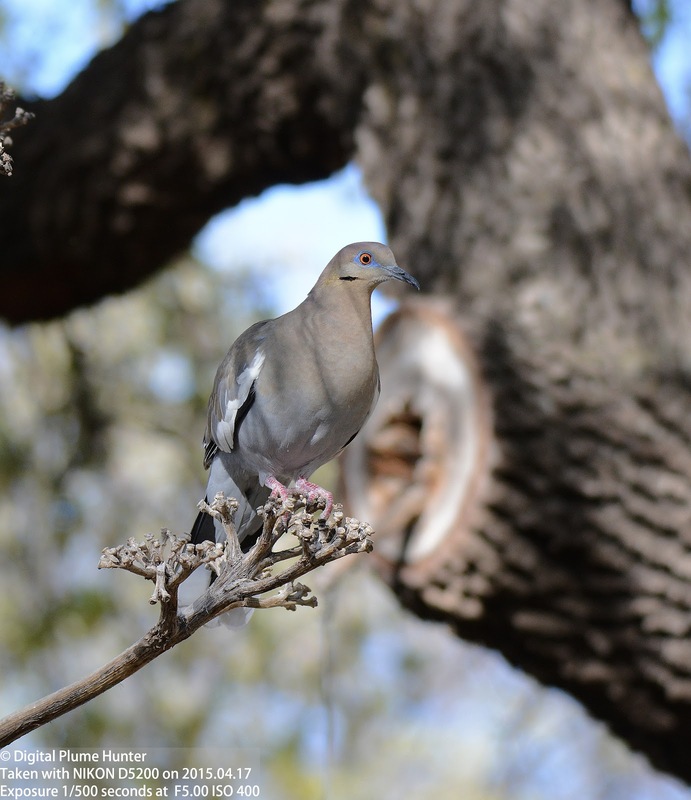 In this instance, it was observed at Big Bend National Park which has a variety of habitats favorable to hummingbirds. 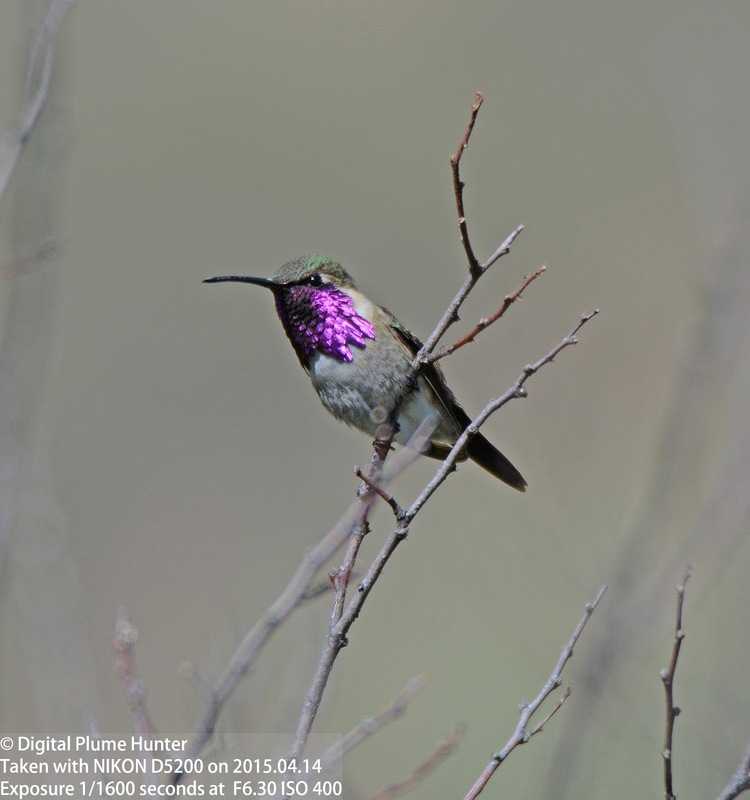 Broad-tailed Hummers are found throughout the Rocky Mountains region of the US. 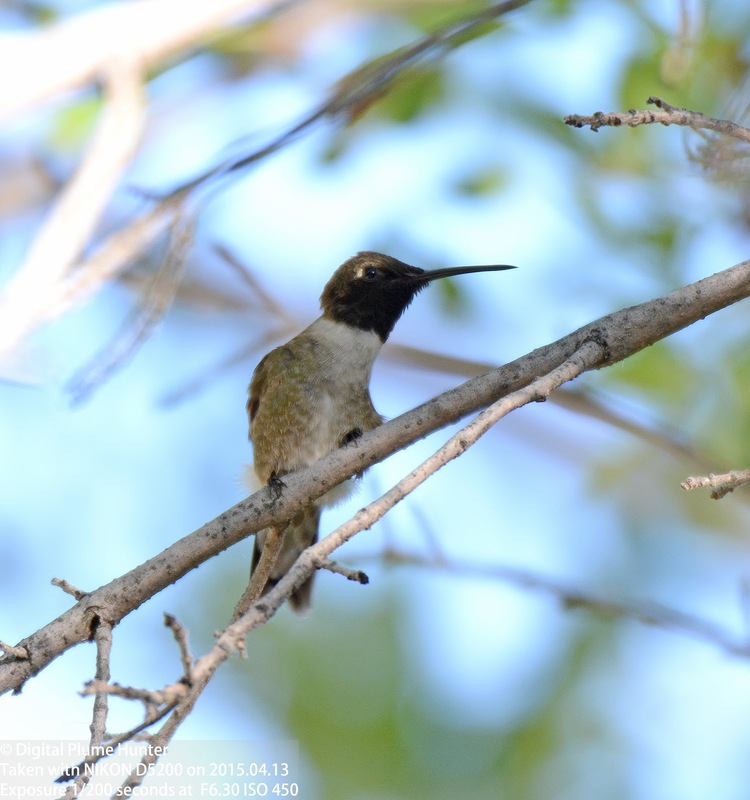 Compare the Broad-tailed with Anna's Hummingbird and the key difference will be readily apparent: the color of the crown -- green in the latter and red in the former. When the light hits the male Black-chinned Hummingbird's gorget at just the right angle, it will shine a deep purple; however, as its name implies, most of the time the gorget appears an ordinary black. This is the most widespread hummer of the four presented here -- ranging West from Texas and North all the way up to southern British Columbia. 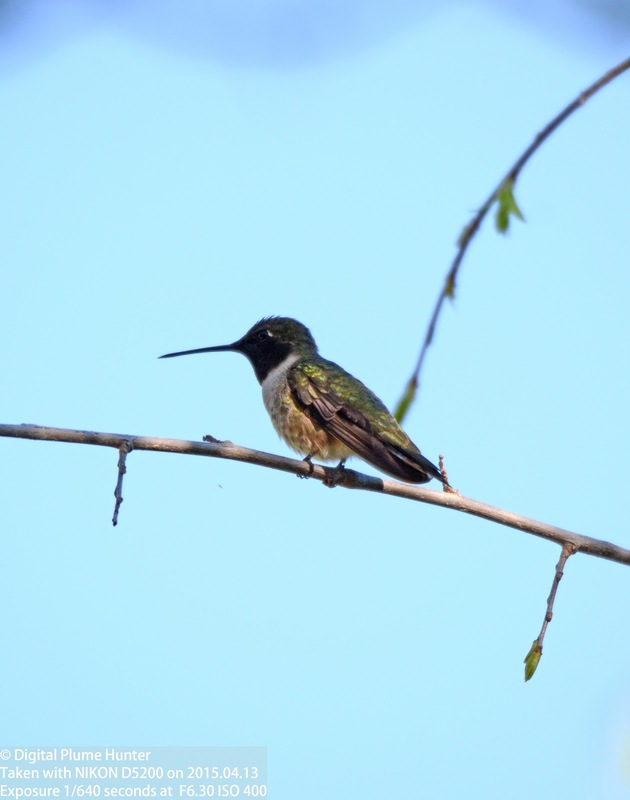 The only bird that can fly backward; or go into torpor; or that consumes more than its weight in nectar daily -- the hummers are exceptional in so many different respects that it is small wonder that they are favorites of birding folk the world over. A fact, no doubt, underscored by the quartet of enchanting hummer species presented here. But, to see the widest assortment of US hummers, the intrepid birder will have to heed the immortal words of Horace Greeley "Go West, young man" -- as the Eastern US is regrettably deficient in hummingbird species (excepting the Ruby-throated, of course). 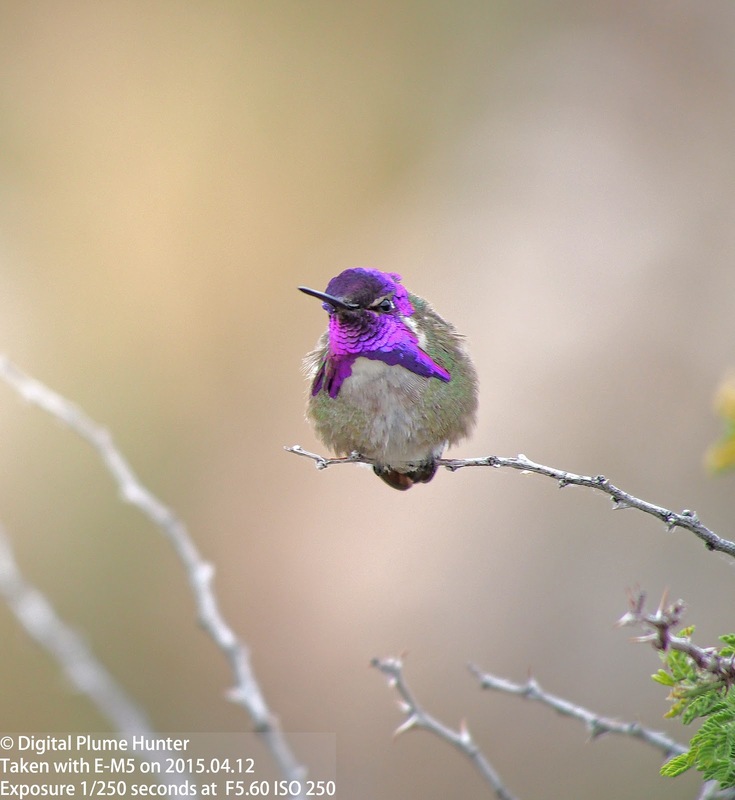 Other hummers profiled in this blog: Blue-throated Hummingbird, Magnificent Hummingbird, Allen's Hummingbird, Anna's Hummingbird, Buff-bellied Hummingbird. What is Patience? Is it the assured wait for something long wanted? Or, a dogged persistence that never quits? Perhaps it is the faith that good things will happen in their own time. However defined, surely Patience is a quality that rewards, in due course, those who are committed to its practice. 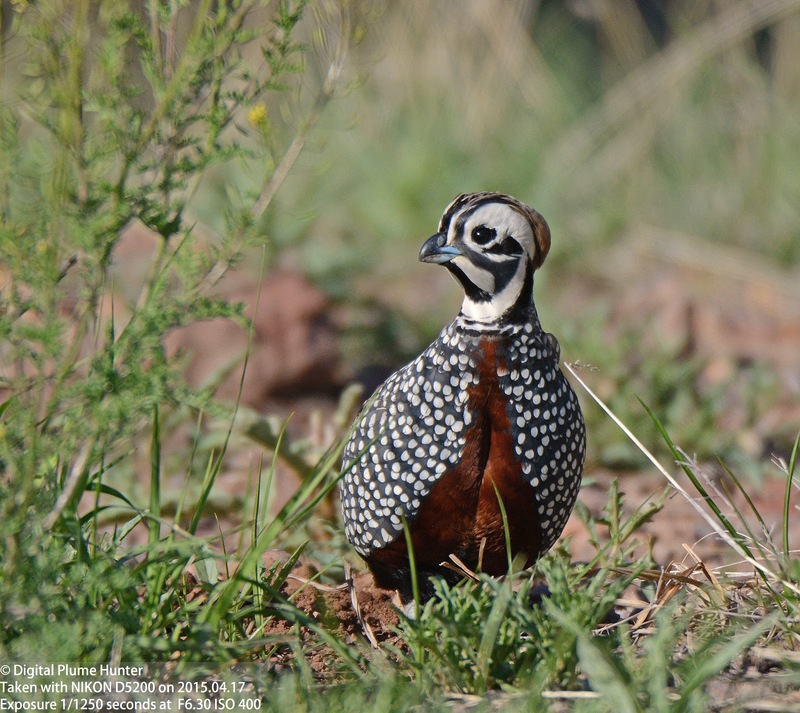 And, in support of this thesis, on a third visit (in 3 years) to Davis Mountains State Park, the prior two having proved spectacularly fruitless, that this blogger's patience was rewarded handsomely with generous views of the fabled Montezuma Quail -- our most striking, restricted and secretive quail. While Montezuma II, last emperor of the Aztec Empire, is perhaps better known for his defeat to the Spanish conquistadors, he has also been famously immortalized not only in the Marine Corps Hymn ("From the Halls of Montezuma to the shores of Tripoli ..."), the vernacular for Mexican diarrhea ("Montezuma's revenge"), and, perhaps most significantly, for lending his name to Cyrtonyx montezumae -- Montezuma Quail. 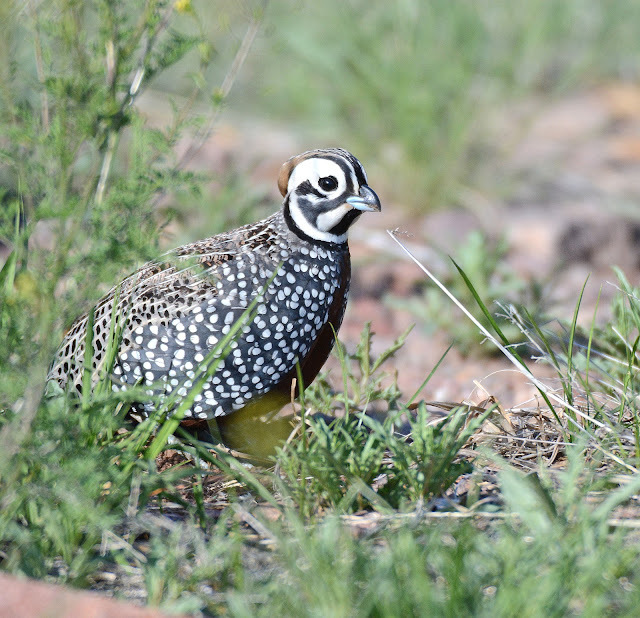 Smaller than a Northern Bobwhite, the Montezuma Quail's most distinctive feature is the male's strongly pattered face, golden crest, spotted sides, streaked back and deep brown chest. 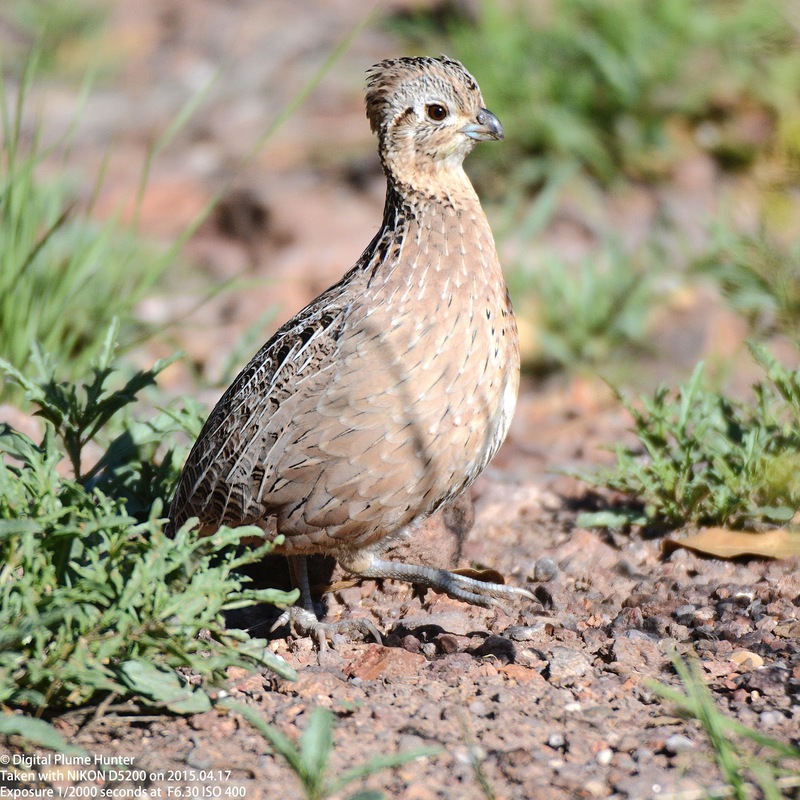 This is a mainly Mexican quail that is found in just a few small regions in the US -- in Arizona, Western Texas and New Mexico. 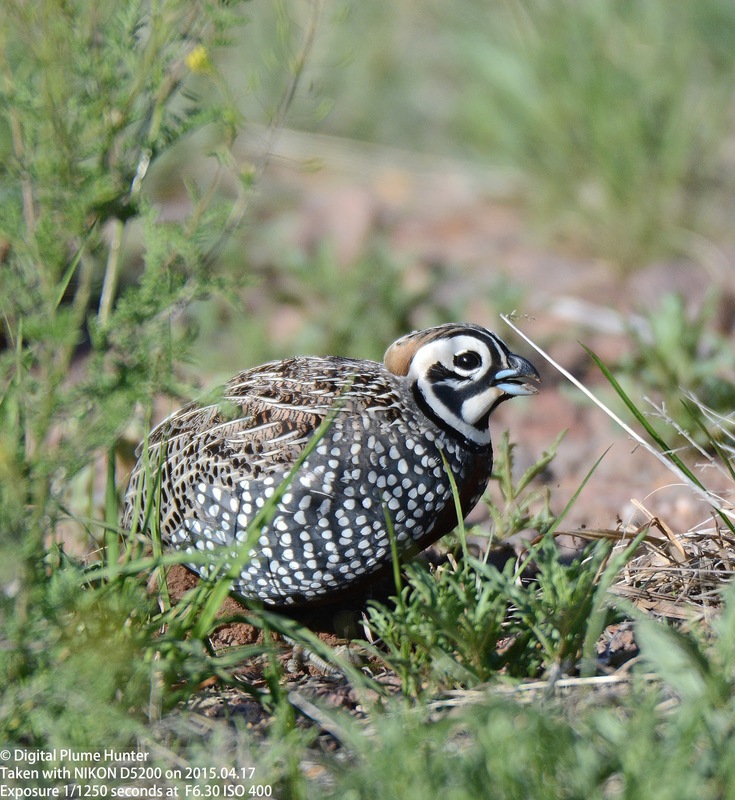 Preferring hilly and wooded habitat, these quail are classified as "Least Concern"; however, owing to their highly secretive nature are rarely sighted; which, is probably a good thing as they are regrettably hunted in all three states in which they occur. 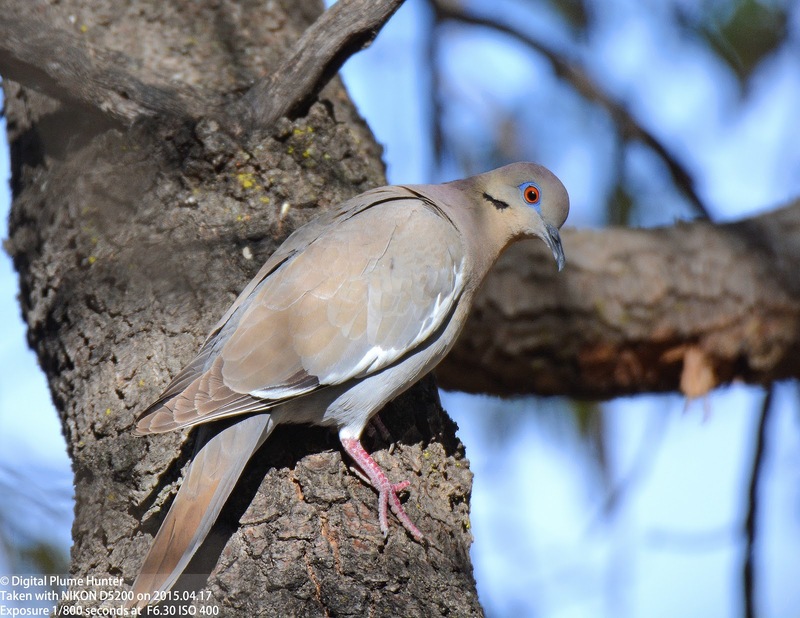 In contrast to the male, the female is a much plainer specimen -- pale buff with some streaking on the back. 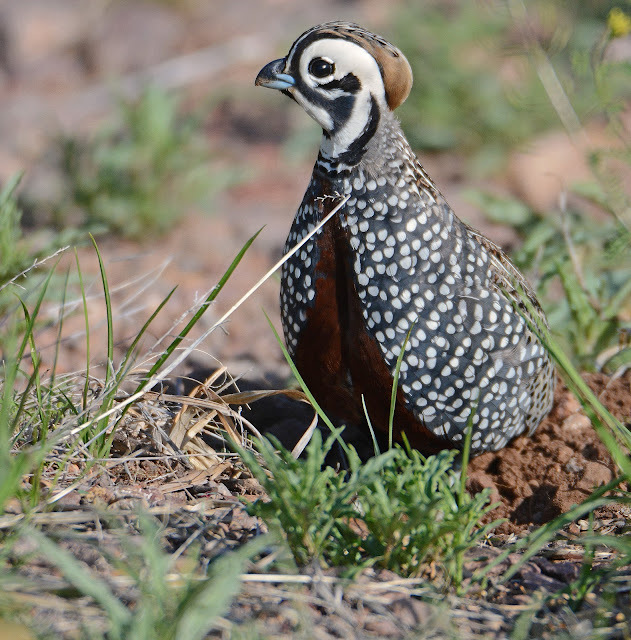 Juveniles resemble the female in plumage. There is no better way for a three year wait to come to an end than with the sighting of a long desired species -- and, when the species in question is not only a Lifer but the stunning Montezuma Quail, the memory of the wait fades into trivial insignificance. 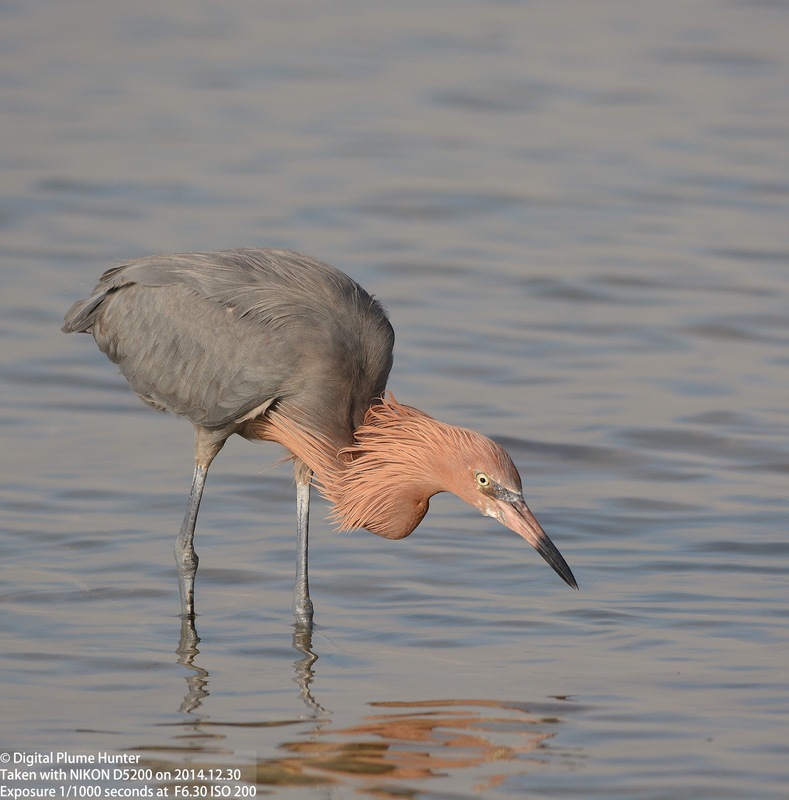 A sentiment, that surely must find resonance in every birder's own experience with the value of Patience in the observation of iconic yet elusive species. 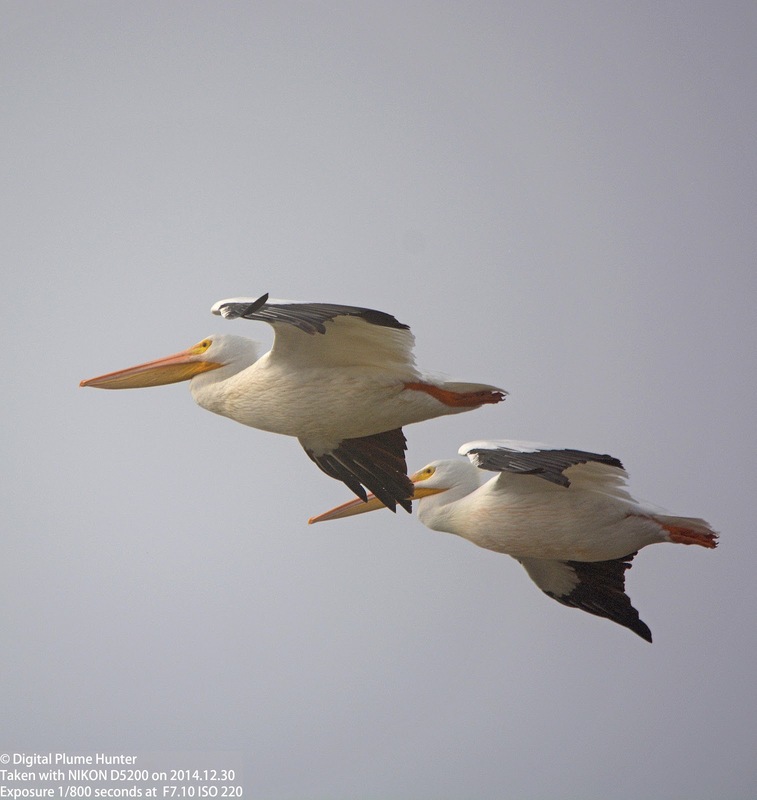 This gull is a regular winter visitor to our Eastern shores from Iceland and other European regions. 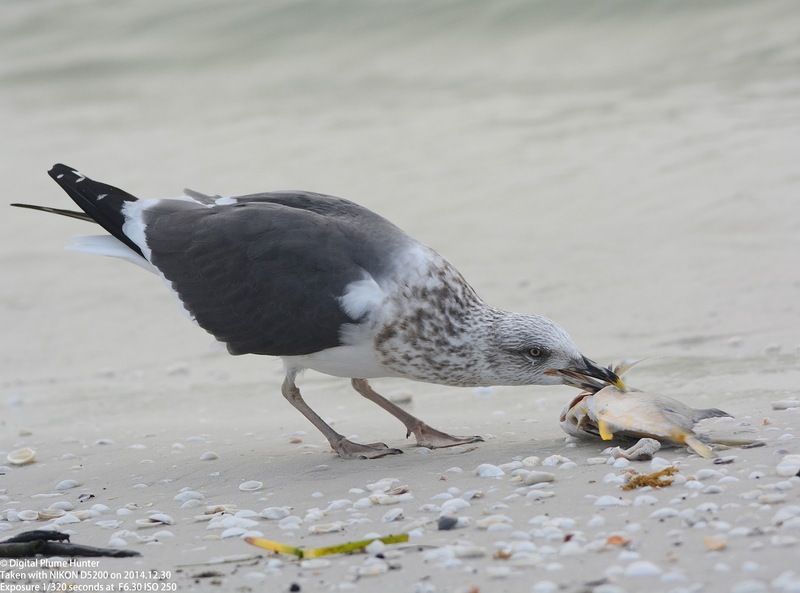 First profiled on this blog in 2013, this is an imposing, dark-mantled gull that is just smaller than a Herring Gull. 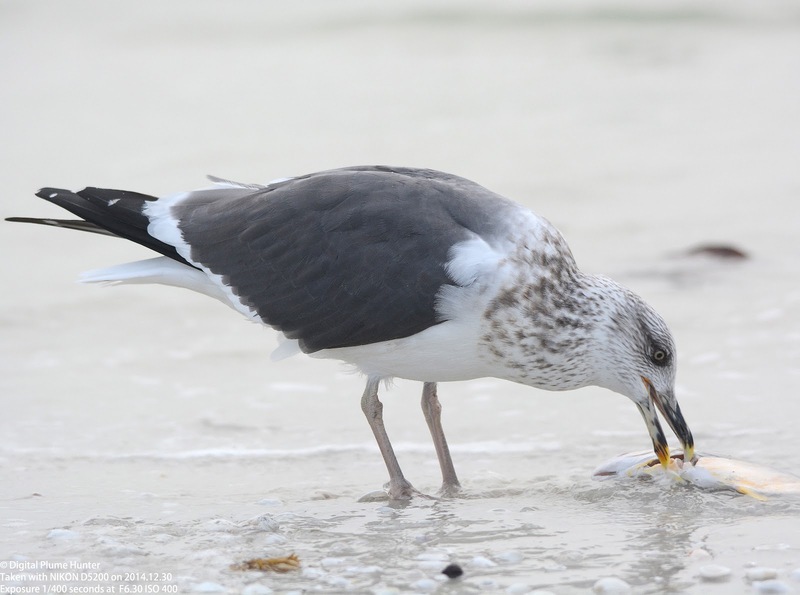 Gulls are not known to be picky eaters and this Lesser Black-backed was not above making a meal of a decomposing fish. 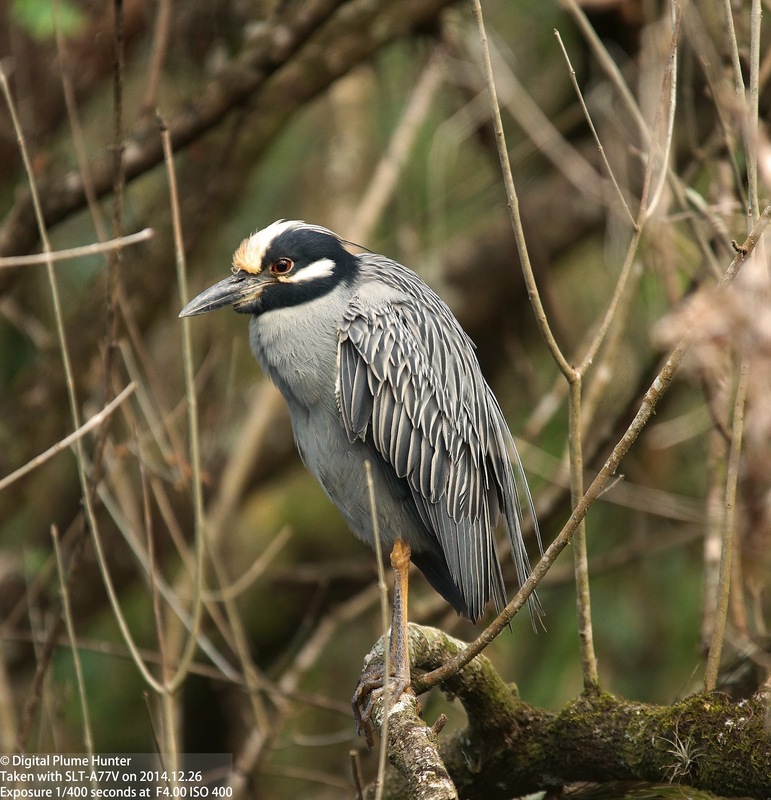 Both Night-herons (Black-crowned and Yellow-crowned) can be seen at Corkscrew Swamp. 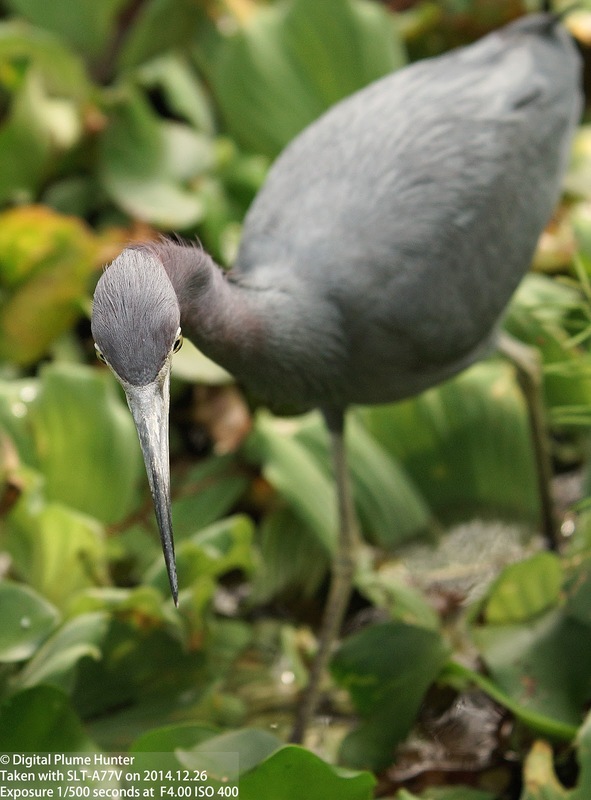 The Ard.lit.bh's proximity to the boardwalk made for an interesting composition as it walked on the lettuce lake.